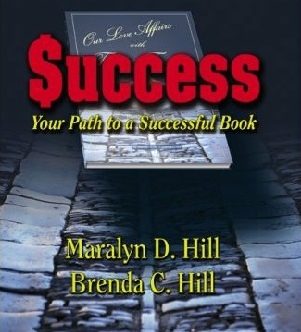 Successwithwriting.com was inspired by the book Success: Your Path to a Successful Book by Maralyn D. Hill and Brenda C. Hill. Every author with the passion to success can do it. We work with publishing professionals and authors who provide their insight to successful publishing. Success blog will feature writing, marketing and publishing tips we continue to learn since writing our 2009 Indie Finalist workbook Success, Your Path to a Successful Book keeping our readers abreast of the ever-changing skills required to write, publish and sell a successful book. We will also have guest commentators. Achieving your goals as a writer is what matters. Anything we can do to help you get there is our goal. We welcome your comments and hope you will sign up for our bi-monthly (or whenever we have enough material) newsletter. Are you interested in submitting an article to be featured on our site? Please click here to submit your article for review.